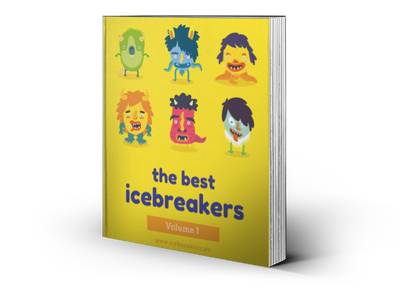 Screaming Viking - Icebreakers, Icebreaker Ideas, Games, Activities! Screaming Viking is a stationary/active/party game that is highly interactive and silly. Players must correctly act out interesting things such as a “screaming viking,” a “chia pet,” “power rangers,” and other funny things. This game is good for children age 9 and up. It’s an excellent game for parties and families. The ideal number of players is about 12-15, making it a good medium and large group game. No special materials are required to play. You can play indoors or somewhere like a park. There is no special setup required for this game. Have everyone sit in a large circle, with each person facing the middle. The facilitator should teach everyone all the various motions for how to play. More details will be given below. The basic idea behind this game is simple: one person is in the middle and tries to get someone on the outside (seated within the circle) to make a mistake. If a person makes a mistake, he or she becomes the new person in the middle. To get someone “out,” the person in the middle points to one person who is sitting on the outside and commands the action. Typically, three people must then proceed to do a funny motion and make silly noises: the person who was pointed to, and the two people on the left and right, respectively. The three people have ten seconds to do the action properly without making any mistakes. There are various actions that can be done. the “Screaming Viking”: the person in the middle is the main viking, who forms two horns with their fingers on their forehead and screams loudly; the person to the left and right of that person must also make a fast rowing motion with their arms. “Smurfs”: three people interlock their arms and sing the smurf song, “Laaa, la, la-la, la-la…." “Chia Pet”: One person in the middle is the plant, and the people to the left and right form the pot. All three of them must sing loudly, “Ch-ch-ch-chia…"
“Jello”: the person selected in the middle must wobble like gelatin (jello), while the other two people form a bowl with their arms. Sticker Ninja - Icebreakers,Ideas, Games, Activities! Strange Disease Diagnosis Game - Icebreakers,Ideas, Games, Activities!